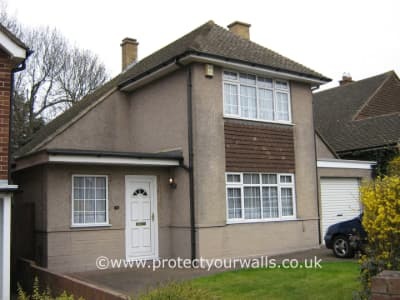 The owners of this property wanted to improve the drab appearance of their pebbledash exterior with a long-lasting product. 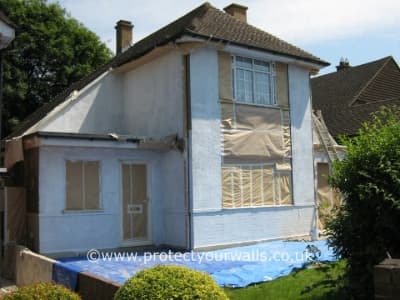 We visited them and recommended an exterior wall coating because the spray application would give a much more even coating over the rough pebbledash. 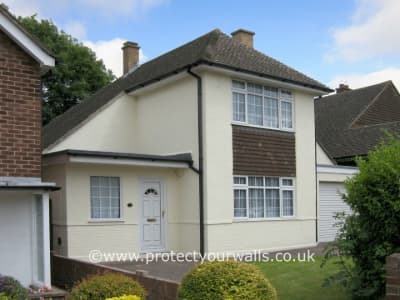 The customers chose their exterior wall coating in a coarse texture and a light colour to brighten up their home. 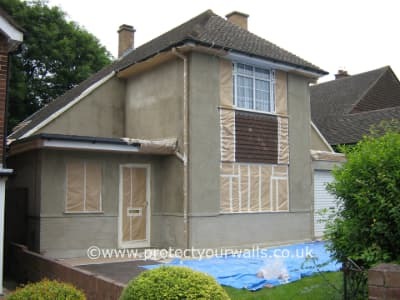 During the work, an SBR Bag Coat was applied to stabilise the pebbledash surface prior to applying the primer and protective wall coating. After the work was completed, the site was tidied up and the customers were thrilled with how their property looked.